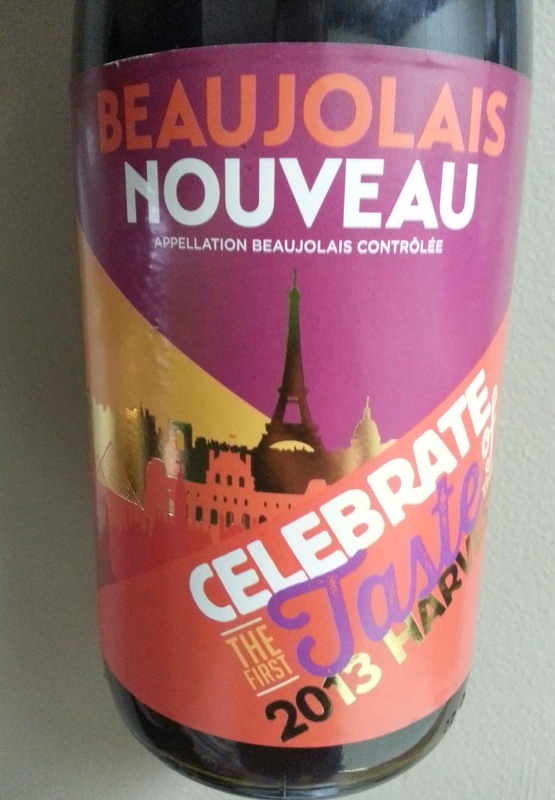 Le Beaujolais nouveau est arrivé! 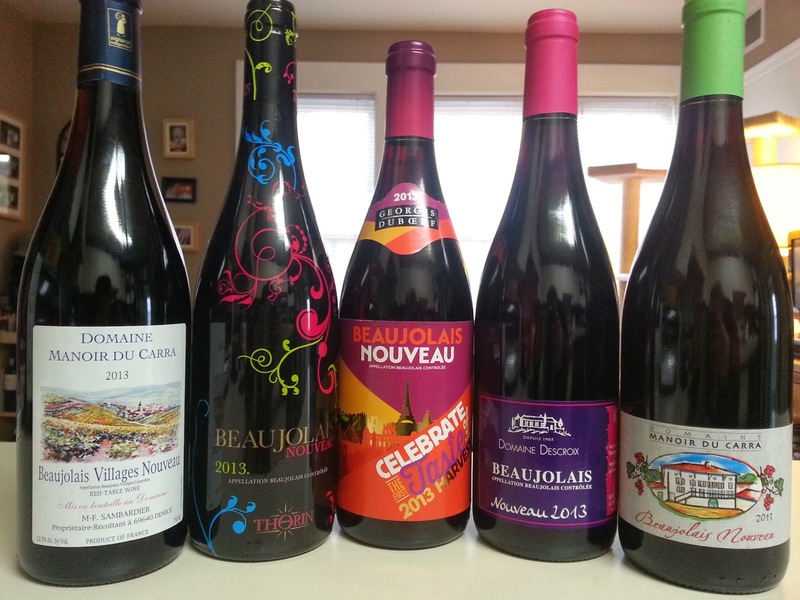 Today is the third Thursday of November -- and that means that it's Beaujolais Nouveau Day. The day is a celebration of the harvest. A fresh grapey party in your mouth! These wines are young, bottled only 7 to 9 weeks after harvest. I don't know about you, but I'm excited to taste this year's lot. So excited, in fact, that I went to three different stores and tracked down five different bottles to try! Beaujolais is the most Southern region of Burgundy, but has little to no similarities to the rest of Burgundy. 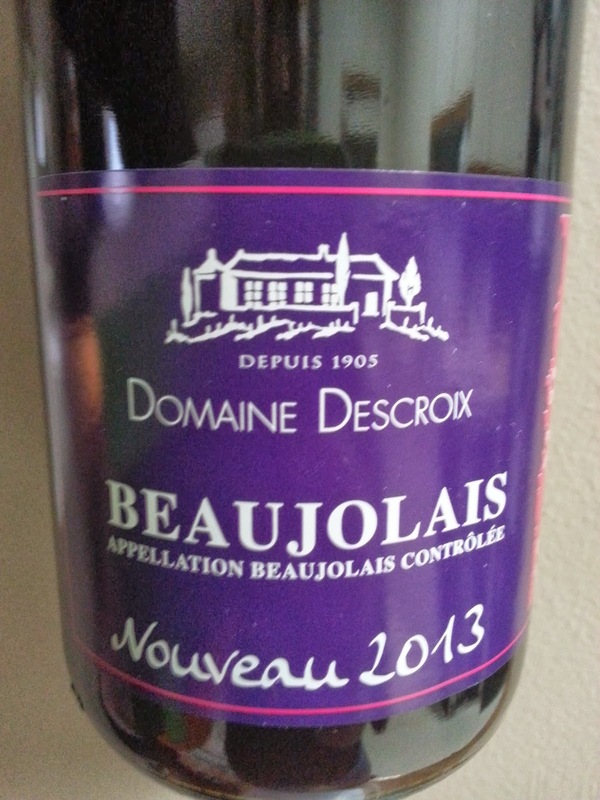 Beaujolais is made from 100% Gamay (not Pinot Noir) and vinified in a completely different style. 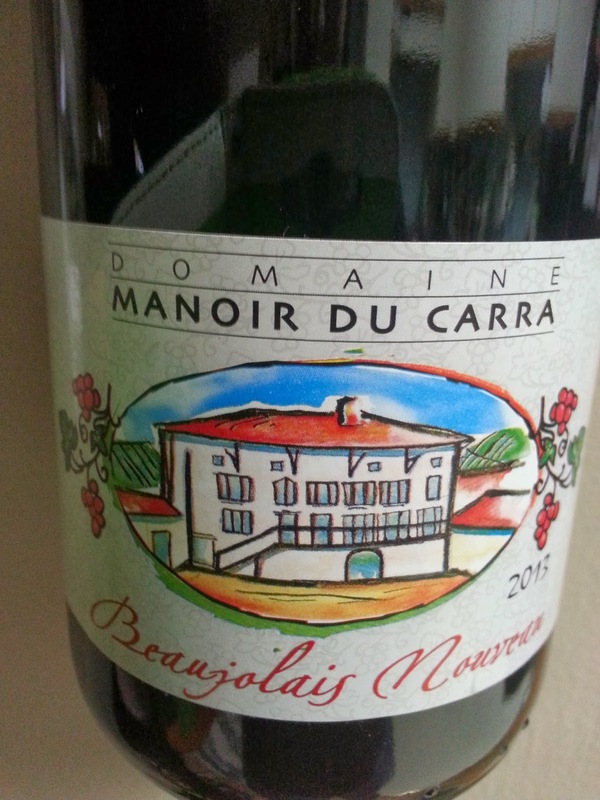 I won't launch into wine nerd speak and tell you about the details of Carbonic Maceration -- suffice it to say that Beaujolais is meant to be light and fruity with virtually no tannin. Nouveau has a beautiful pale to medium purple color -- absolutely festive! The region of Beaujolais is divided into three quality levels: Beaujolais (broad area, most basic stuff), Beaujolais-Villages (a bit higher quality, hillier area), and Beaujolais Cru (10 special villages on steep granite hills producing the best wines). 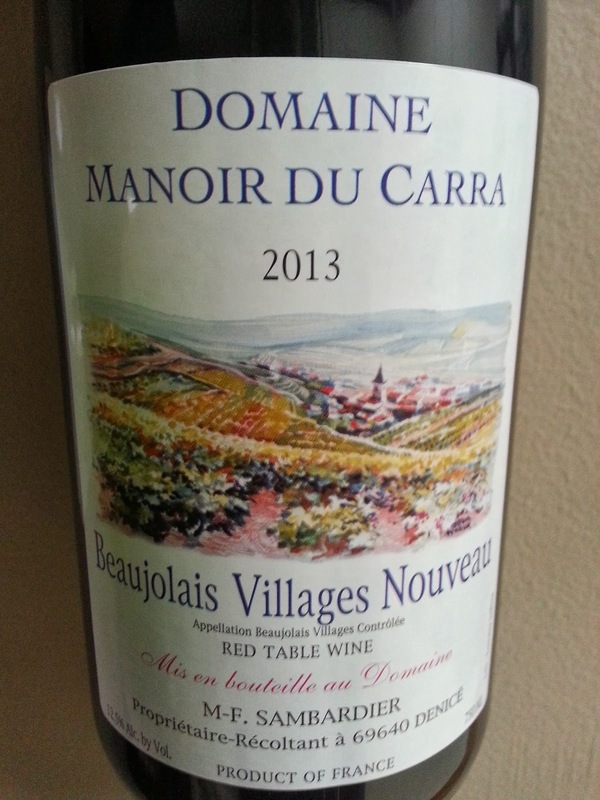 Nouveau will only come from Beaujolais and Beaujolais-Villages. In fact, four of the five wines I have are Beaujolais, and only one is Beaujolais-Villages. All of these wines are mid-priced, coming in between $10 and $14. Serve your Nouveau just a touch chilled, after about 15 minutes in the fridge, and pair with friends! These wines are certainly not meant to age; drink now or next week with Thanksgiving -- Nouveau goes great with Turkey because of it's fresh acidity and fruit flavors. Let's start with the most well known produce, Georges Duboeuf. This wine shows aromas and flavors of tart cranberries and cinnamon. It has high acidity and a short finish. Nice and refreshing, easy drinking. Unlike the big Negociant Dubeouf, Domaine Descroix is a "Propriétaire-Récoltant" -- French for a grower-producer whose wine will be made from their own property. I love the fun bubblegum aromas (think Bazooka Joe). This note is joined by some candied pomegranate on the palate. The wine has a medium finish, where the fruit lingers just a touch. 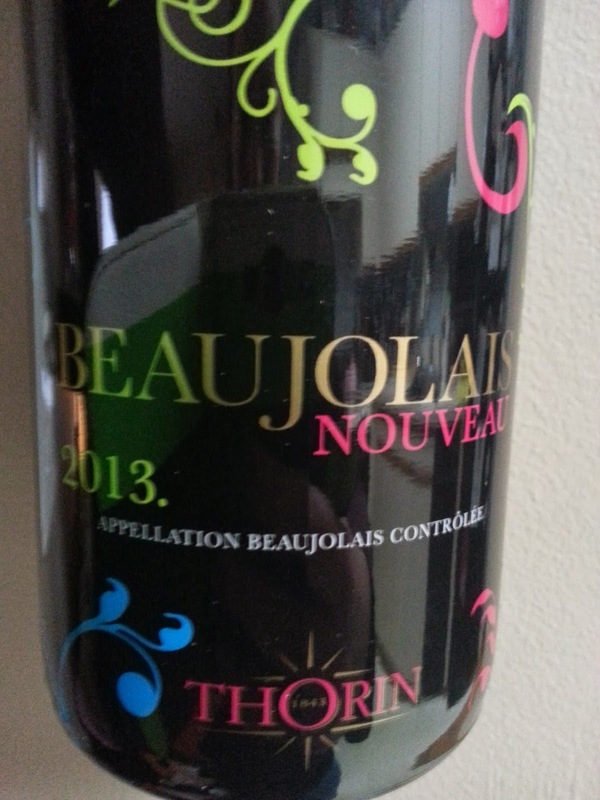 I had this producer's Beaujolais last year. Still nice and easy! This wine is full of boysenberries, spice, and raspberries. It has a nice freshness and short finish.Yummy! This is the same producer as Wine 4, but the fruit is sourced from a higher quality vineyard. Like the Domaine Descroix, this wine is designated as "Propriétaire-Récoltant". There primary difference between the two Domaine Manoir wines is the body -- the Beaujolais Villages is a bit fuller, along with a hint more spice, particularly some anise. Very Yummy!